The World Federation of Advertisers has appointed 12 new leaders to its executive committee and other senior positions. The executive committee is the senior decision-making body in the organisation and is charged with devising and steering WFA strategy. The executive committee is made up of senior marketers and public affairs executives in order to reflect the dual mission of the WFA: to help marketers be more effective and efficient in terms of their marketing communications goals while helping brand owners protect and proof their licenses to operate through advocacy and self-regulation. It also includes senior corporate figures and heads of national advertiser associations. The committee meets quarterly to determine the WFA’s priorities and guide the organisation’s strategy. Martin Riley, CMO at Pernod Ricard, remains president, a position he was appointed to in March 2013. Matthias Berninger, vice president, public affairs, Mars becomes deputy president. He replaces Stephen Kehoe, head of global financial inclusion & regional corporate relations, VISA Worldwide. Mike Hughes, director general of the Incorporated Society of British Advertisers (ISBA) becomes Treasurer of the WFA. 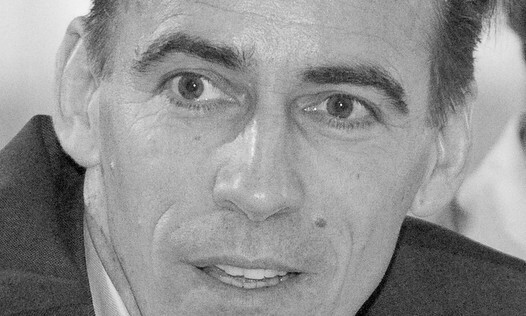 He replaces Gérard Noël, vice president & director general of the French Advertisers Association (UDA). Loïc Armand, president, L’Oréal France, becomes the new regional vice president for Western Europe. He replaces Paul Jackson, formerly external advertising affairs director at Mars. Idorenyen Enang, managing director for Central & West Africa at L’Oréal becomes the new regional vice-president for Africa. He previously undertook the same role between 2010 and 2012 when working for Samsung. Since 2012, the post has remained empty. Javier Medrano, senior vice president of marketing at Grupo Bimbo, will become the regional vice president for Latin America from July 1 this year. He will replace Mario Davis, president of the Chilean Advertisers Association (ANDA Chile). Regional vice presidents play a critical role as regional ambassadors for WFA, working closely with corporate and national association members in order to steer WFA priorities and coordinate regional action as well as representing the region on the global executive. All of the appointments above will serve two year terms. Roel de Vries, corporate vice president, Nissan Motor Co. Ltd.
“Equally, my sincere thanks go to our departing executive committee members and regional vice presidents for the time and effort they have put into the organisation” said Stephan Loerke (pictured), managing director of the WFA. Quiksilver Japan has rolled out "True Wetsuits" campaign to enable Japan’s over-working businessmen to regain their work/surf bala..
Domino's Pizza Malaysia earns points for creativity. ..